Good writing deserves good editing − and I aim to provide the best. My expertise is in editing written work so that it is impeccable. Your writing may simply need proofreading to tidy up spelling and punctuation. Or it may require more intensive copy editing to improve syntax and ensure consistent style. I can work on screen or hard copy. No job is too small, no job too large. As an experienced project manager, I can handle every stage of production from typescript to bound copy − a valuable one-stop facility for any author intending to self-publish. 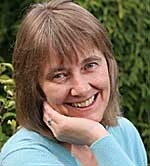 I have been in publishing and printing for nearly two decades and my portfolio includes a vast range of fiction and non-fiction − from romantic novels to cookery books, medical texts to guides on retreats, food and wine, sudoku to quizzes, self-help to healthcare, memoirs to motivational books. Mind-body-spirit is a favourite publishing niche. I take pride in going the extra mile to ensure every job is well done, on time and within budget. But every job is different so the first step is to assess what you need and how I can help you. Please contact me for an exploratory discussion, without cost or obligation.